Thought of controlling music throughout your whole home or business at the push of a button? Had times you wish you could turn all the lights in your home or business on (or off) from the security of your bedroom, office or on your smart phone? Wanted to see what the kids are doing in the playroom or yard from a Touchscreen or TV in your kitchen? 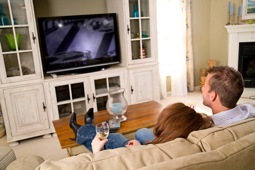 Been frustrated with all the remotes cluttering the coffee table and wish that one would do it all? Wanted to upgrade the Home Theater or Audio system in your home and are not sure which component to buy that works with what you have? Considered investing in any kind of Home Theater or surround system? Wanted to see what’s going on at the cottage while in the office? Wanted a whole home audio system but don’t want to run wires to every room in your finished house? If you answered yes to any of the above, you need to contact us. Whether it is a new construction project or you are already in your home Northern Lake Audio Video can provide the solutions and services that you need. Our team of specialists will bring you to your next level of your home audio video experience. On time, on budget, no surprises. To learn more or for a FREE Evaluation contact Northern Lakes Audio Video today, for all your electronic sales, installations and service today. Are you looking for a quality installations of your home theater system? Are you looking to simplify your remotes from 5 to 1? Are you looking turn your board room into a state of the art business centre? Welcome to Northern Lakes Audio Video, serving the GTA, Newmarket, Barrie, Orillia and Muskoka. Why settle for the seconds bet when your installations can be completed by Ontario's best. If you have already bought your system and are having trouble with the connectivity and operation of it or you want a system designed, Northern Lakes Audio Video makes it simple to operate. In your back yard or at the cottage, why not let Northern Lakes Audio Video design a whole house audio system that is suited to your lifestyle. As us about our Home Theatre and commercial products as well. To learn more please we invite you to explore our website. To learn more or for a FREE Evaluation contact Northern Lakes Audio Video today, for all your electronic sales, installations and service today. Electricity prices have more than doubled in Ontario between 2010 and 2011. Prices have risen from approximately $0.049 per kilowatt hour to as much as $0.099 per kilowatt hour within the peak periods. Then the Government adds a 13% tax on top of that. Lights account for approximately 20% of your hydro bill. With soaring electricity costs such as this, does it not make more sense to install a lighting control system from Northern Lakes Audio Video. In today’s home designs, vaulted and higher ceilings are becoming the norm. To change bulbs with ceiling heights such as these can be a daunting task. Usually a trade’s person has to be called in with scaffolding to change them. This can be expensive. A lighting control system allows you to save money by conserving energy by operating your lights at lower intensities. It will also prolong the life of the bulb. For example, by dimming two 60watt halogen bulbs 35%, you can extend the life of the bulb to over 10 years and save approximately 28% on the energy costs to operate them. Have a look at the Lutron Lighting Calculator to see how much you could save. With lighting control installations service from Northern Lakes Audio Video, you can customize the lighting themes throughout your home and you can do so much more. Our user friendly Touch screens make operation a breeze. Our solutions help you create a beautifully Illuminated home that responds to your lifestyle. To learn more Lighting Controls or for a FREE Evaluation contact Northern Lakes Audio Video today, for all your electronic sales, installations and service today. Why not have Northern Lakes Audio Video upgrade your current ‘bulky’ tube TV’s to modern high definition flat panels. In some instances, no additional wiring is required. This allows us to upgrade with minimal disturbance to your employees and clientele. Do you have a private party room. Why not have Northern Lakes Audio Video install a flat panel display on the wall with laptop connect ability. You can now rent out a meeting room to a B.N.I. or a Marketing group. Who knows, they might even stay for lunch or an ale afterwards. If your currently installed sound system just doesn’t have the ‘punch’ required when the ‘big game’ is on, Northern Lakes Audio Video can increase the volume of your current system most often without a full system upgrade. Does your dining area have inadequate sound control? This is where you need to control the volume independently in one area of your dining room to another. Northern Lakes Audio Video can give you the control you need. Northern Lakes Audio Video also design and install projection systems, video walls, digital signage, remote access cameras and lighting control. Learn more today, contact us for a FREE Evaluation. Northern Lakes Audio Video designs and installs background music systems with paging capability. Speech Privacy systems are a must for medical, counseling, legal and executive offices. Do you have control over your vehicle fleet? With soaring fuel prices business owners have to have more control over the use of their company vehicles. Northern lakes Audio Video offers a selection of Fleet management Global Positioning Systems (GPS) that will allow complete control over each vehicle. The vehicle can be tracked in real time, running time, speed, location history, theft recovery, weekend personal use and more. Are your Employees distracted while on the road. Over 81% of accidents have been influenced by someone using their cell phone when driving. Keep your employees safe by installing Bluetooth hand free devises in your fleet. To learn more about our Commercial AV or for a FREE Evaluation contact Northern Lakes Audio Video today, for all your electronic sales, installations and service today. Finding the right combination of audio/video products for your commercial establishment is a time consuming task if you are taking on the challenge yourself. With ever changing technologies, it can also be very costly when wrong choices are made. Adequate staff training regarding your audio/video/lighting system is important. At Northern Lakes Audio Video, we understand that your down time away from your business is very important. Whether it is with family or on the greens. You don’t want to be receiving those ‘the Super Bowl is on and there is no sound’ panic phone calls from your employees when you finally get away from your business. Northern Lakes Audio Video will ensure that as complex as your new system might seem, it will be easy to operate. For example in a Sports Bar, usually an employee, during opening and close, will be running around with numerous remote controls pointing them in every direction possible to turn everything on. In a Northern Lakes Audio Video installed system you do the following: Pick up “one” remote. Push “one” button. Put the “one” remote back down. Done. All of your Flat Screens, projectors, sound, and lights are now on in their predetermined default settings for the button you pushed. Northern Lakes Audio Video will train your designated employees in the operation of the system. A user manual will also be provided. Whether it is new construction or upgrading your current establishment, we can help. A Northern Lakes Audio Video System designer will meet with you to find out what your expectations are in your new system. We will discuss your budget allocation for this area of the project and payment schedules to ensure that all product arrives on time for your commercial av installation. This avoids any delays for final completion deadlines. For renovations and upgrades, Northern Lakes Audio Video inspects your current system to determine if your current system just needs modification or replacement. Older systems sometimes just need some minor components added to allow them to work with current technology. This inspection can save you $$$$. We also determine your likes and dislikes about your current system so that you only have “likes” with your new system. Is your boardroom a collection of projectors, old bulky TV’s, wires and large speakers piled onto a rolling cart? Let Northern lakes Audio Video de-clutter your boardroom and bring your company into the modern age. From fixed mounted Projection systems with motorized screens to video conferencing ability’s. In wall speakers and lighting control make sure that your audience can hear every detail and there eyes can appreciate the full impact of your presentation. Too much light in your Boardroom? Northern lakes Audio Video can supply and install motorized blinds custom tailored to your room and décor. Has your company been a victim of vandalism or theft? Have you ever received that call at 3am that your business security system has been activated and found yourself driving to your office only to find it was a false alarm. Northern Lakes Audio Video can provide a system that allows you to remotely monitor your business from home or even on your smart phone to confirm an intrusion before you rush out to false alarm. If an intrusion should occur your lighting system can be integrated to turn on at full intensity and stay on until the system has been disarmed by you. Northern Lake Audio Video provides quality solutions for a variety of businesses that are looking for commercial av installations and commercial Audio Video products. Our team of specialists will bring you to your next level of your commercial audio video experience. On time, on budget, no surprises. To learn more about Commercial AV or for a FREE Evaluation contact Northern Lakes Audio Video today, for all your electronic sales, installations and service today. Wanted to see what's going on at the cottage while in the office? Part of our home theater installation service includes pre-purchase inspection. When we see the room environment and listen / view your current system, we can tailor make a system to meet or exceed your expectations. A salesman in a store can't do that. This allows you to be confident in your future investment. Unlike the Big Box stores where sometimes you spend to much and your expectations are not met. We can design and install dedicated and combination theaters. Do you operate a Small Office/Home Office? Have us integrate your office to your theater. Give the presentation in your theatre for a professional look while ensuring your office computer stays where it belongs. Whether it is a new Home Theatre Installation project or you are already in your home Northern Lake Audio Video can provide the solutions and services that you need. 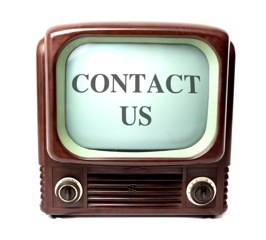 Our team of specialists will bring you to your next level of your home audio video experience. On time, on budget, no surprises. To learn more about home theater installations or for a FREE Evaluation contact Northern Lakes Audio Video today, for all your electronic sales, installations and service today. At the cottage, outdoor TVs and audio systems suitable for the dock, boathouse or deck. To learn more or for a FREE Evaluation contact Northern Lakes Audio Video today. If you don’t see it on the list, please use our online contact form to inquire. Contact Northern Lakes Audio Video today, for all your electronic sales, installations and service today. Northern Lakes Audio Video is a value driven company committed to taking the complexity out of our customers home Theater and surround sound experience. If you have already bought your system and are having trouble with the connectivity and operation of it or you want a system designed, Northern Lakes Audio Video makes it simple to operate. In your back yard or at the cottage, why not let Northern Lakes Audio Video design a whole house audio system that is suited to your lifestyle. For our commercial and corporate customers, we offer a variety of products and services ranging from projection and audio systems for our restaurant and sports bars to speech privacy systems and boardroom design for our corporate clients. We also offer lighting control for residential and commercial applications. As well remote programing. Some how we always seem to get 5 different remotes operating different components of your home entertainment system or even your commercial applications.